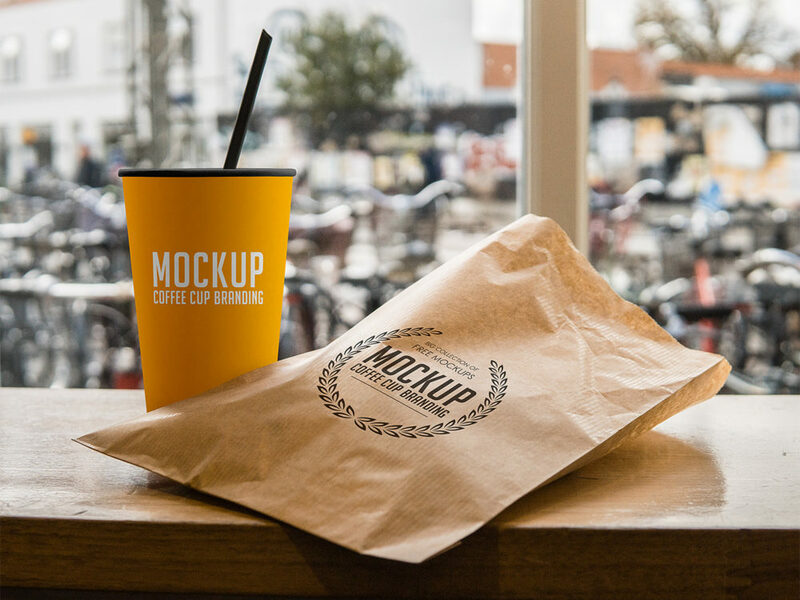 Coffee cup and paper pouch branding mockup to showcase your packaging design in a photorealistic look. PSD file consists of smart objects. Thank you for downloading.